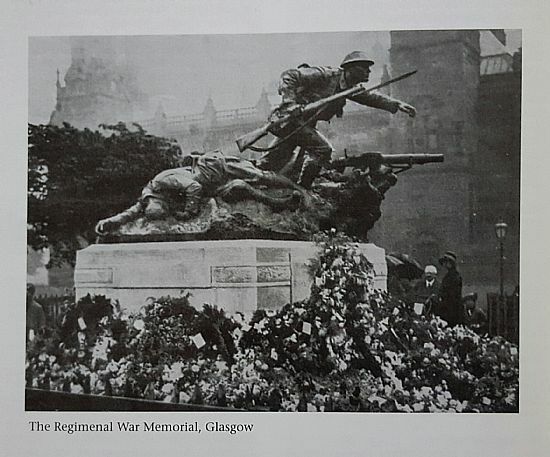 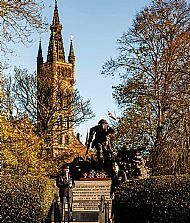 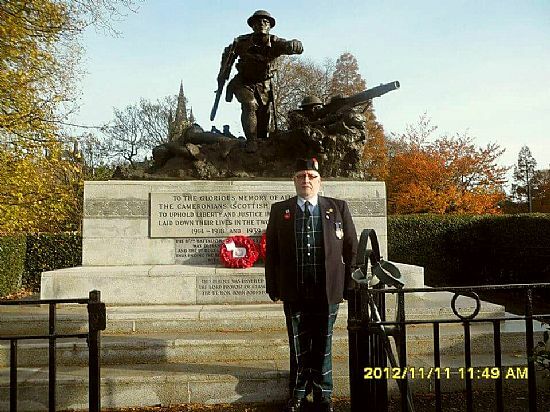 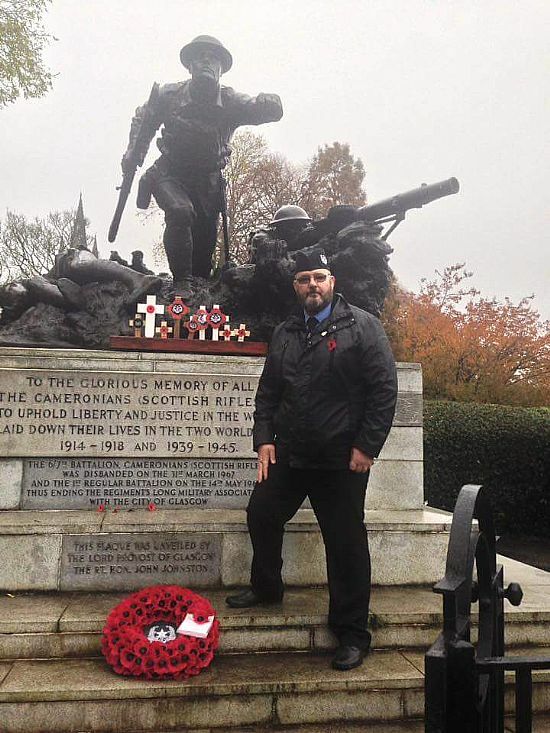 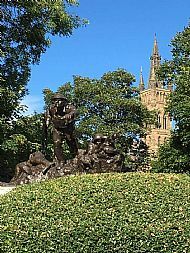 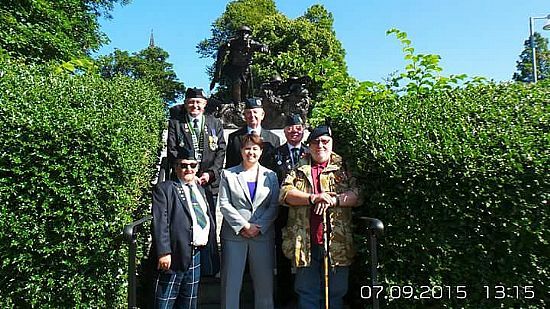 Cameronians (SR) and Families Association | Kelvingrove War Memorial. 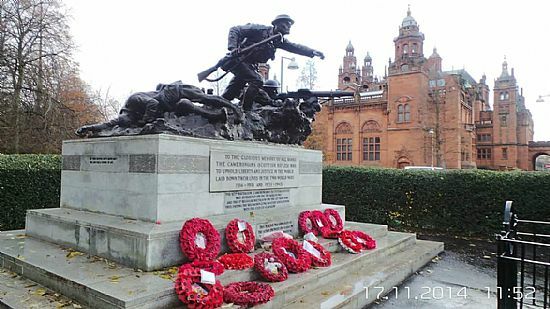 Beside the Galleries on Kelvingrove stands this magnificent memorial to those Cameronians of The First World War. 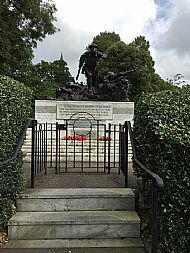 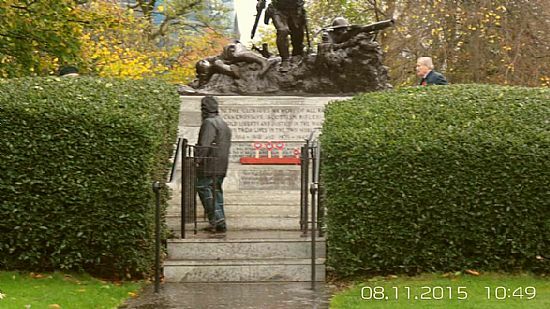 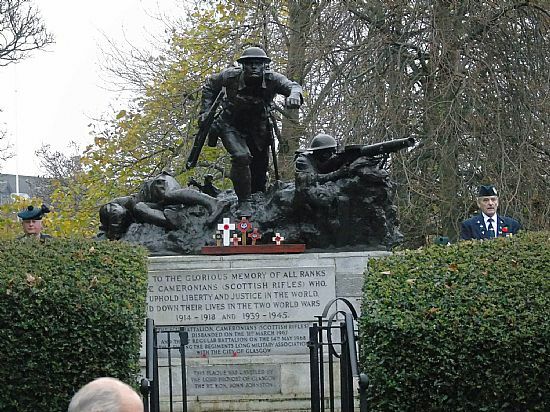 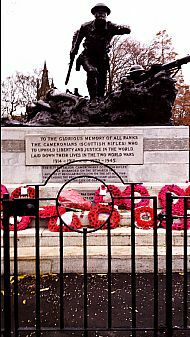 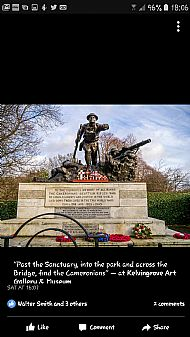 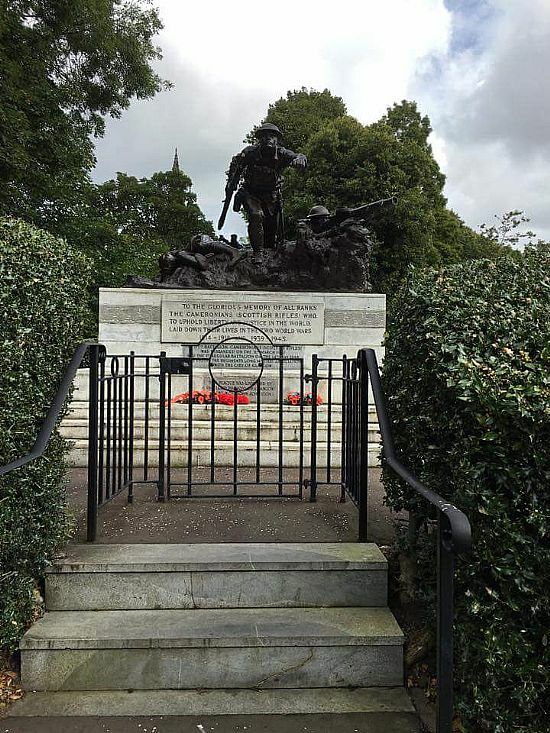 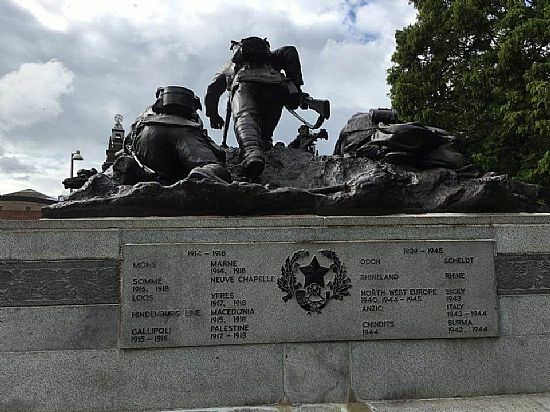 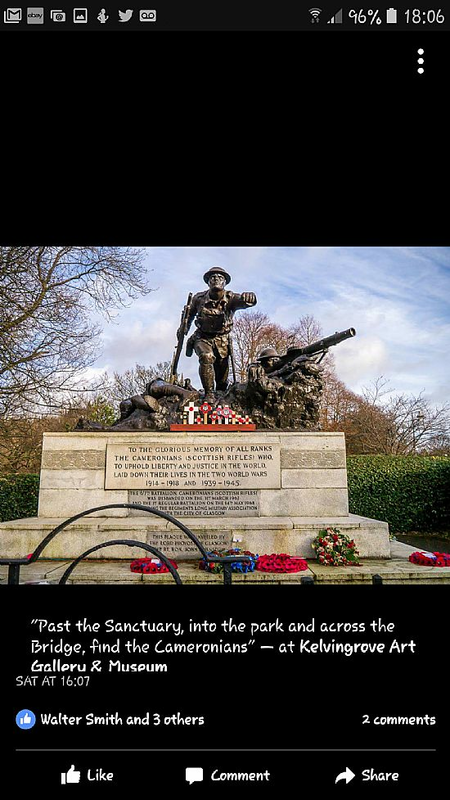 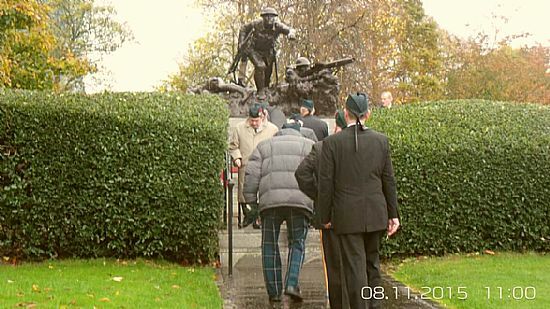 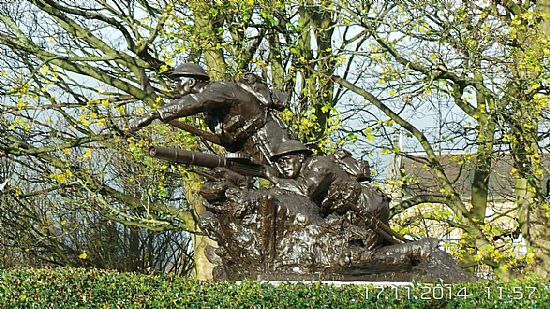 Erected in 1924, being unveiled by Earl Haig, the memorial is a site worth a visit. 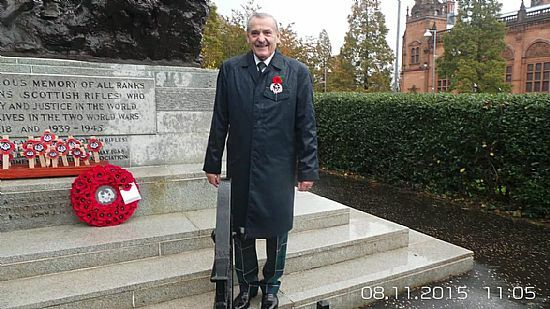 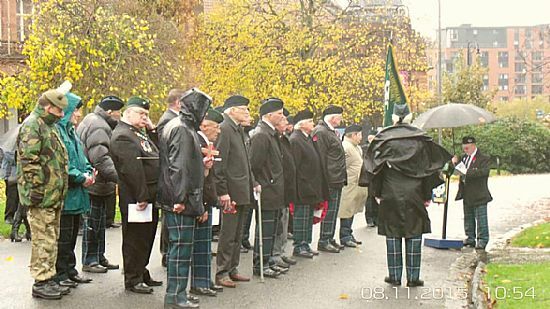 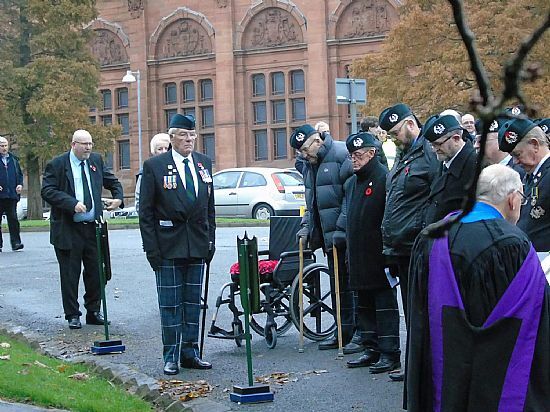 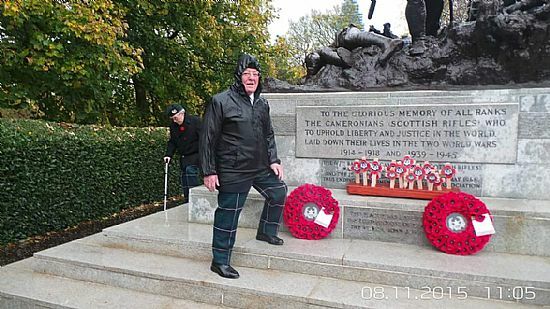 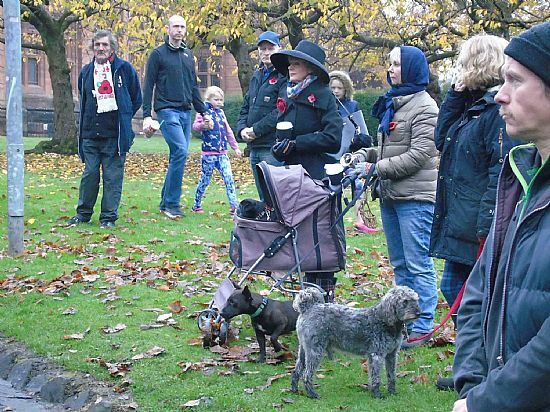 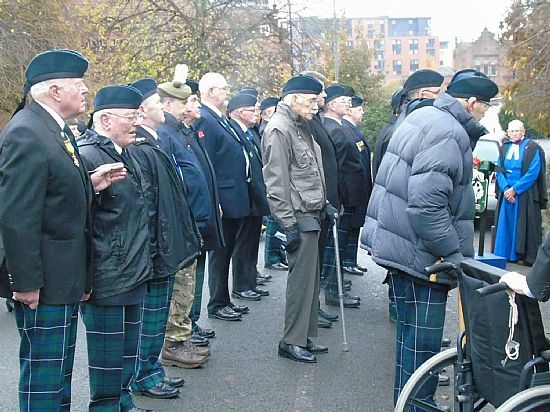 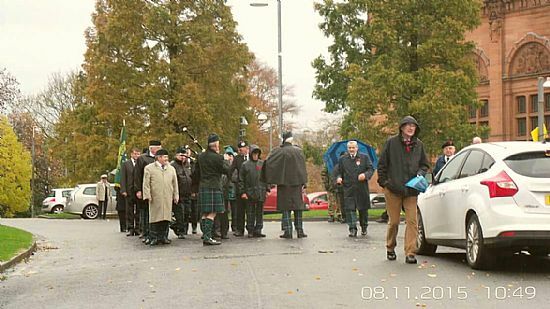 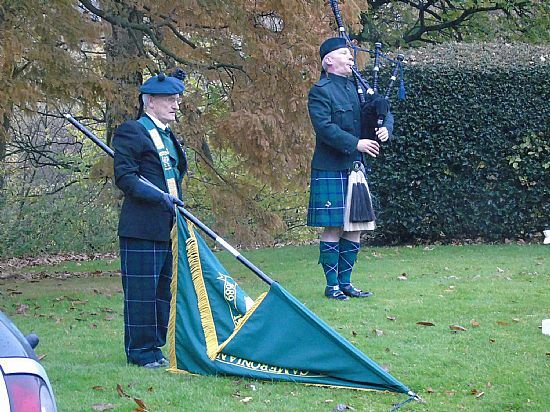 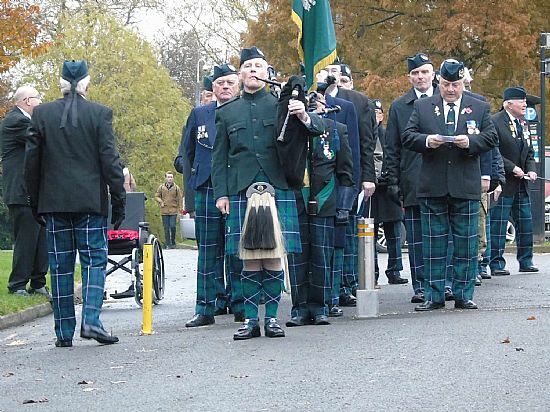 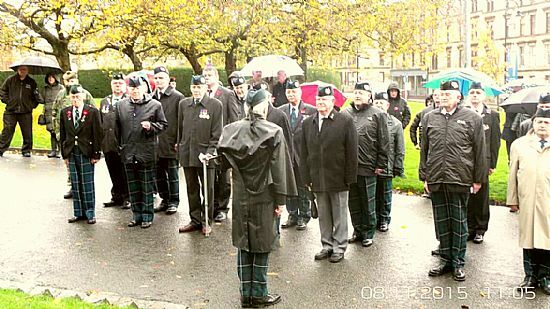 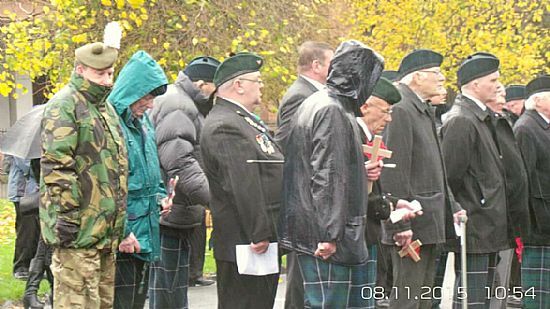 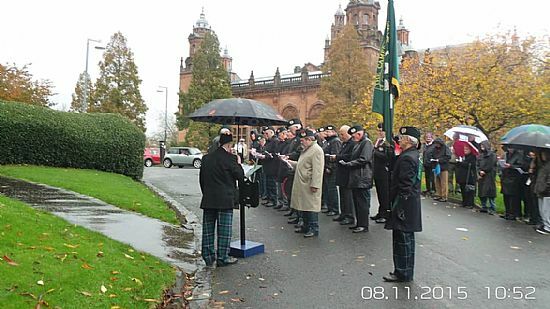 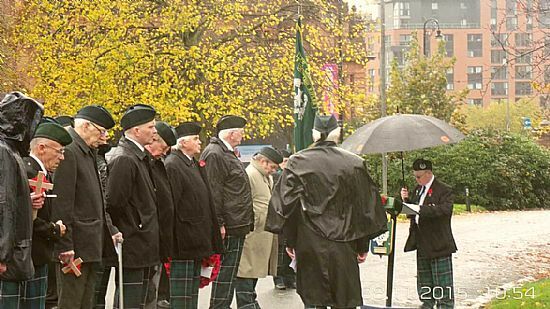 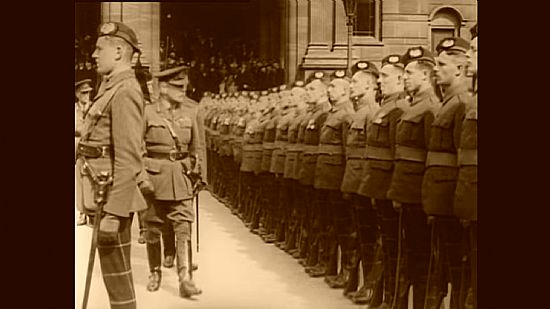 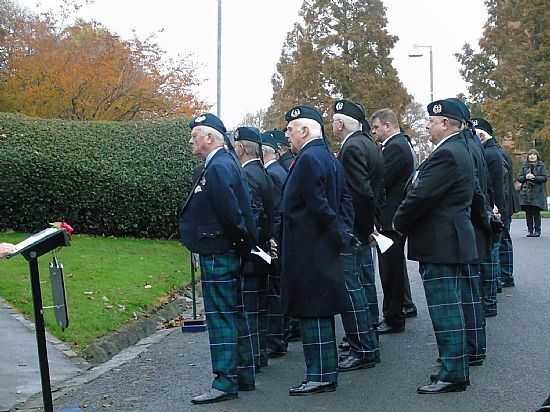 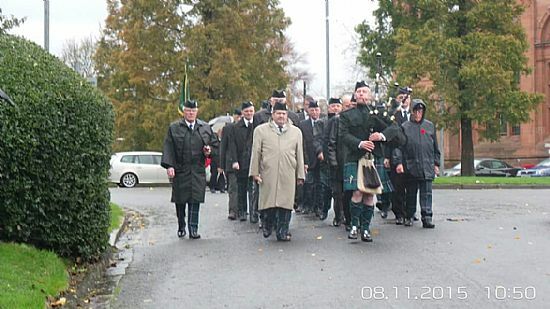 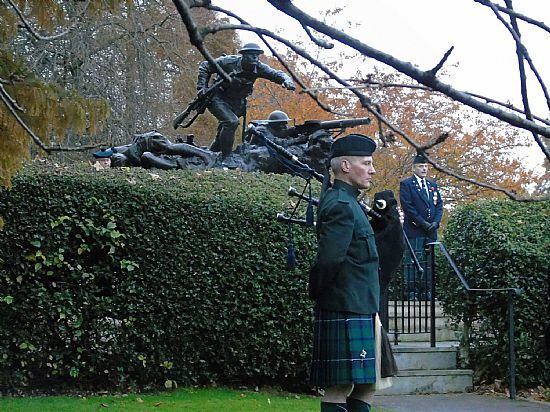 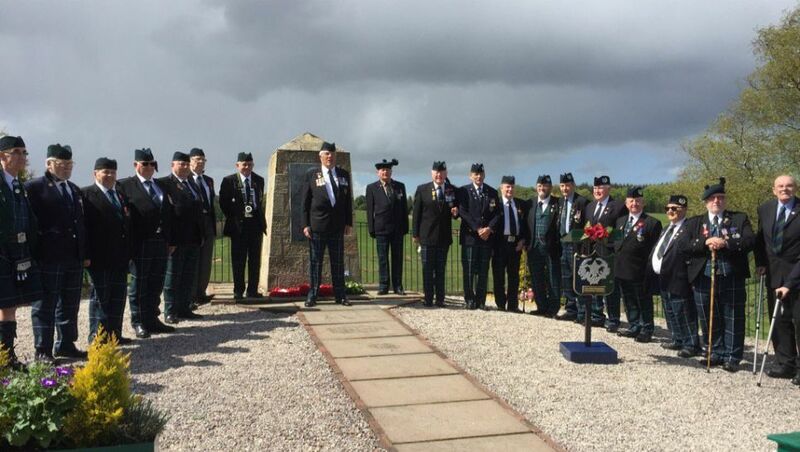 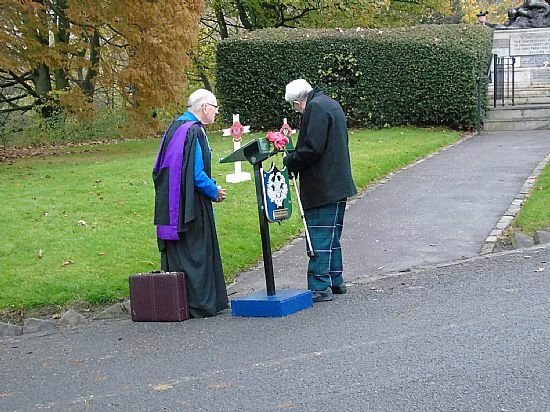 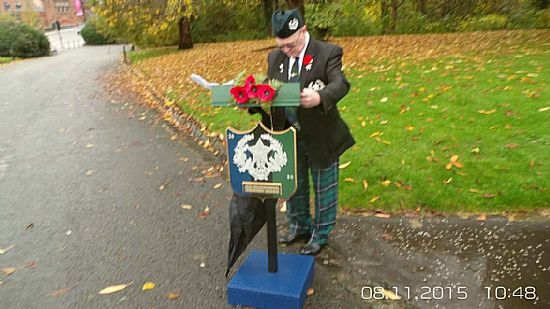 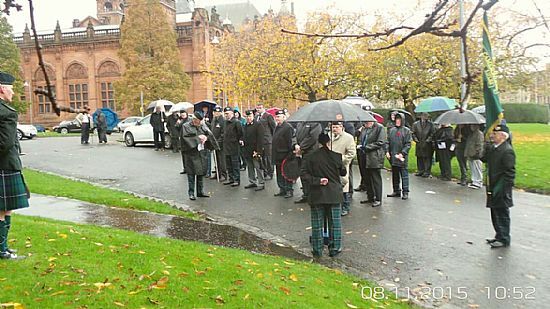 Each year on armistice day the Cameronians gather to remember. 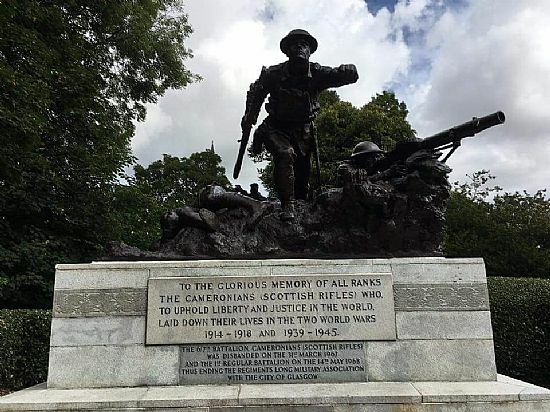 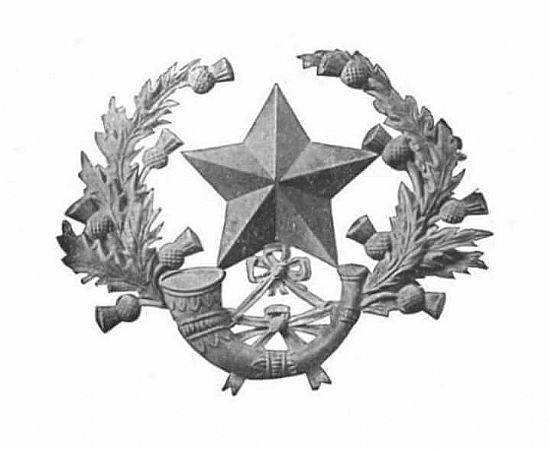 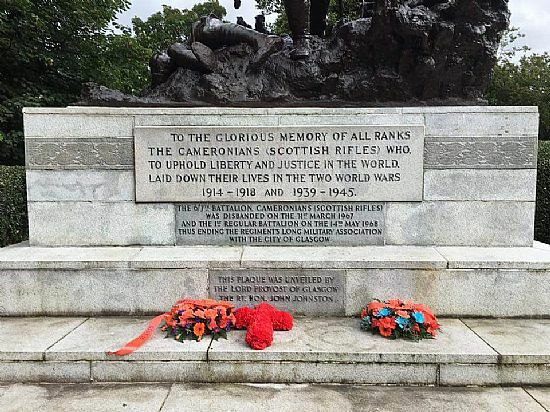 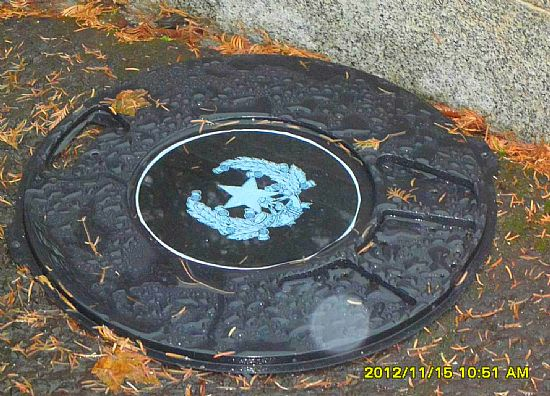 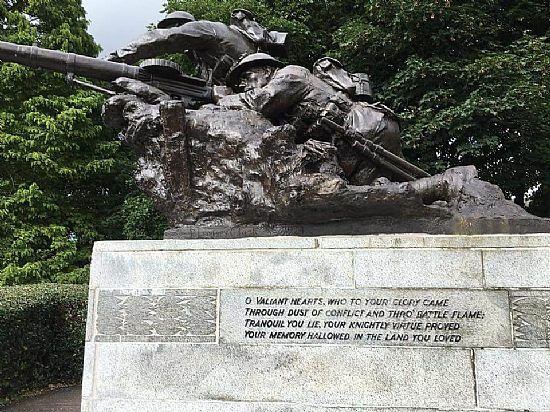 The memorial honours all Cameronians with plaques dedicated to the Disbandment of the last regular 1st Battalion and the 6/7th Territorial Battalions of the city of Glasgow, Lanarkshire and The Lothians. 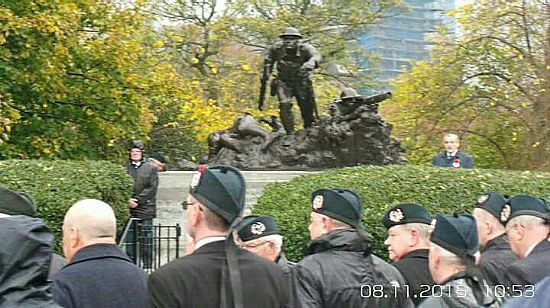 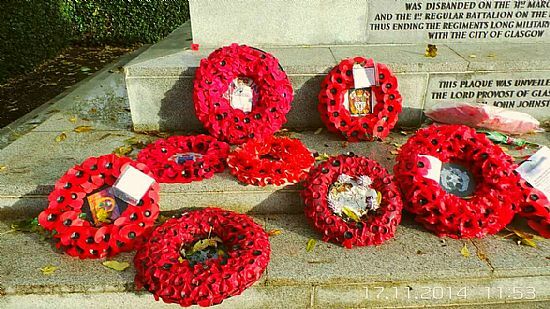 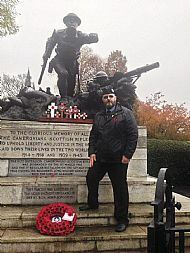 2017 Remembrance Day 12th November.